The gulf between supply and demand for homes in Madison widened in March. Madison area home prices continued to soar amid a flurry of market activity in March. 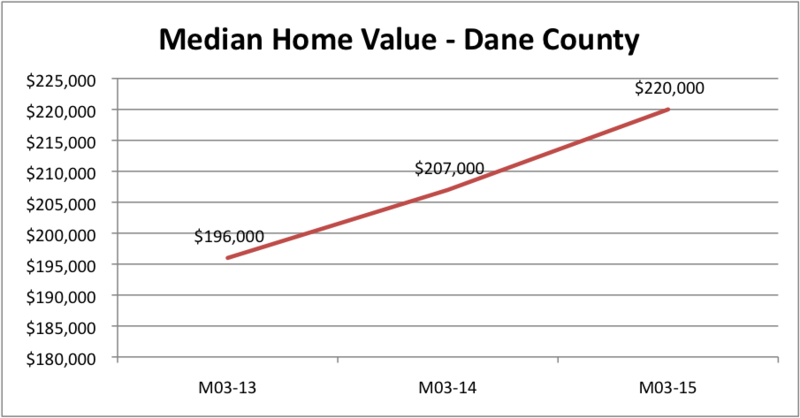 The median sale price for single-family homes in Dane County reached $220,000 in March, a 6.3% increase from last year. Over the last three years, we have seen the median sale price of homes soar 15% in Dane County, the South Central Wisconsin MLS reports. What’s driving the increase in home prices and sales? Inventory is a major factor. 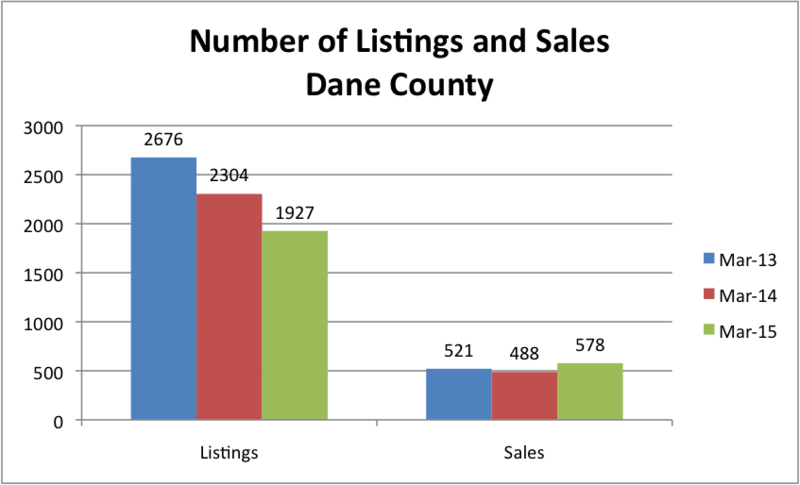 At the end of March there were 1,927 active listings in Dane County, about 17% fewer than the year-over amount. That doesn't mean, however, that Dane County homeowners aren't interested in selling. In March, 1,096 homes were listed for sale in Dane County. That’s the most we've seen in March over the last five years. Still, the month ended with the fewest number of homes on the market since 2003. The number of new listings and the number of sales both soared in March. There were 578 sales reported in Dane County, an increase of about 16% from last year. Demand for homes in Dane County is sky high. Buyers are motivated by a number of factors: there’s widespread speculation that historically low interest rates will rise in the near future, and more people are in a sound financial position to buy because of improving economic conditions. Dane County has also seen a 5.6% increase in population since 2010, the U.S. Census Bureau reports. That means more buyers may be vying for homes in the area. Median home values have increased sharply over the last 3 years. Single-family homes performed better than condos in March. The month ended with just 513 active condo listings in Dane County, the fewest in March in the last 10 years. Despite diminished inventory, however, the median sale price of condos was down about 6% from the year-over amount. “With condos taking the bulk of the decline in value during the downturn, I think this is probably due to buyers being more cautious on their condo purchase rather than assuming prices will always rise,” said Josh Lavik, a Keller Williams Realtor and the principal at Josh Lavik & Associates. The number of new condo listings continues to lag. There were 212 new condo listings in March. Gains in median sale prices in the first quarter of 2015 have been driven by single-family homes. The price for single-family homes (with condos excluded) was $236,500 in March. That’s a 9% increase over the previous year. Despite higher prices, however, there’s good news for buyers. The Wisconsin Housing Affordability Index was at 245 in March, the same as it was at this time last year. Spring is real estate season in Wisconsin. For information about current market conditions, or to discuss the right time for you to buy or sell a house, contact Josh Lavik & Associates at 608-620-4234.